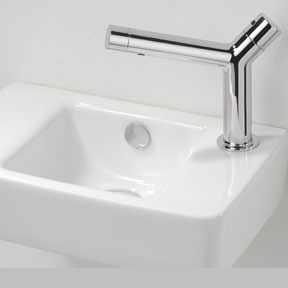 YES Basin Faucets are attractive; easy to use; made of recyclable brass; and save time and water. The front-end handle adjusts the rate of water flow; the back-end handle controls temperature. YES faucets also are easy to clean and have a check valve structure, increasing safety.